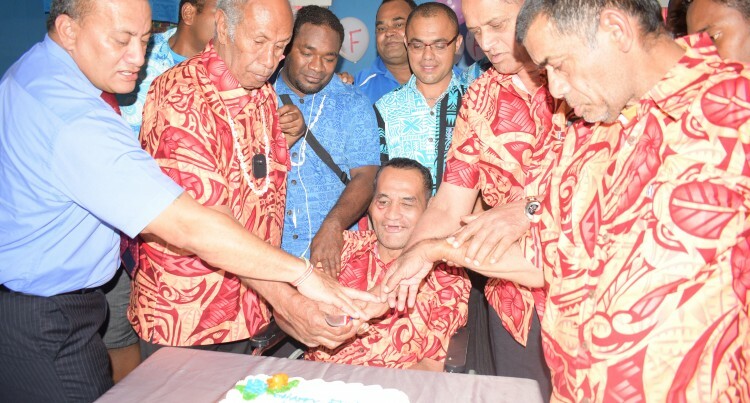 Men from the Old Peoples Home in Samabula with the Director Social Welfare Ruppeni Fatiaki cutting the cake during their Fathers Day celebration at the home on September 11,2018.Photo:Simione Haravanua. Ruci Kava, 69 was grateful after receiving $22,000 grant on behalf of the Suva Relief Trust and Pearce Home yesterday. The grant was possible under the National Council for Older Persons (NCOP), an initiative of the Government through the Ministry of Women, Children and Poverty Alleviation. Permanent Secretary Dr Josefa Koroivueta signed the agreement with six senor citizens homes including Pearce. Ms Kava said she had applied for assistance at the beginning of the year for maintenance. “They have given us $22,000, just the exact amount that we have asked for,” she said at the handover at the Senior Citizens’ Home in Samabula. “The assistance has shown the commitment and has demonstrated that the Government through the Ministry they mean business with the people and it has shown their care and love for the senior citizens of Fiji. Dr Koroivueta said: “We need to prepare our communities for the care and support of the older person. He added that they would soon announce the free bus fare provision for those aged 60 and over.